Ahh sweet Jake!!!!! One of the sleepiest babies ever. I wish my kids were like this once in a while :-). Jake was an absolutely beautiful model and all babies should follow his example :-). 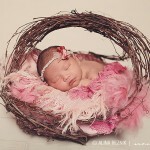 I believe what makes a newborn photo shoot a success is the parent’s willingness and calm to try new things and creating a soothing atmosphere. In this particular photo shoot it was a perfect mixture of both. The parents let me experiment and the baby felt the calmness in the atmosphere thus sleeping through out the whole session. I would like to thank the family for working with me and allowing me to take these beautiful images which I hope will get treasured forever.